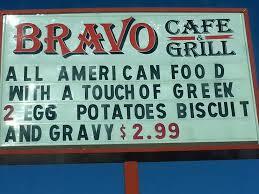 All American restaurant with a touch of Greek! 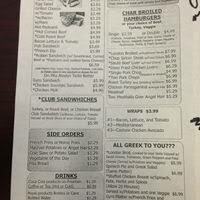 Offering a variety of sandwiches, entrees, salads, daily soups and homemade soups. They have just opened the Bravo Express at 612 East Spring Street, Cookeville, Tennessee This restaurant will be a takeout location offering many of their great sandwiches, along with Greek style pizzas.